Smith and Nephew IV 3000 1-Hand Delivery Dressing from HealthyKin.com is a moisture responsive transparent film dressing specifically designed to meet the needs of catheter fixation and to keep the catheter site dry. 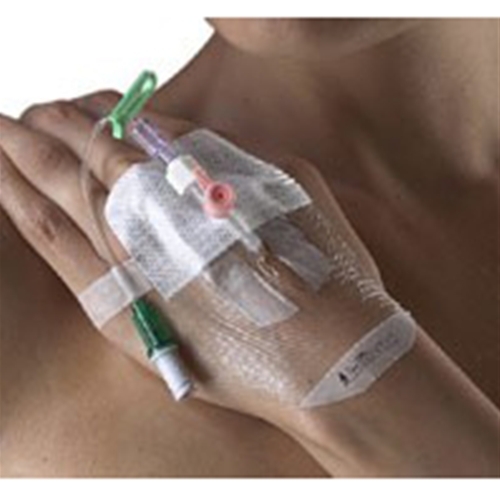 Independent clinical experts have proven IV3000 to offer safe, secure and cost effective catheter fixation and believe it to be 'a technological advance for IV site care'. The 1-Hand delivery system provides quick and easy aseptic application to all major catheter types. Very fast shipping. Easy transaction. We are a repeat customer. Fast and easy to order. It was delivered when promised. Best price I could find, fast shipping. Expected it in 3 days, took 2. Excellent product and great price. Thank you.